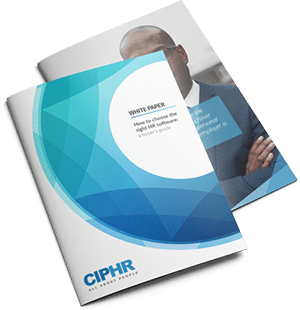 Cathryn Newbery from CIPHR and Chris Platts from ThriveMap discuss why traditional candidate assessment methods are no longer valid in today’s competitive talent market, and how to improve the hiring process for HR, line managers and candidates alike. If you’d like more information about CIPHR, email sales@ciphr.com. Cathryn: Hello everyone, and welcome to today’s webinar, “How to Take Your Candidate Experience From Good to Great.” If you don’t know CIPHR, we’re a leading UK developer of HR recruitment and learning software that helps organizations to attract, engage, and retain their workforces more effectively. We’re proud to have ThriveMap on board as one of our CIPHR Connect partners. Their pre-hiring assessment helps organizations ensure that every new hire has the right capabilities, commitment, and culture fit, for their new team. My name is Cathryn Newbery, and I’m CIPHR’s, Content Marketing Editor. I’m joined today by Chris Platts ThriveMap’s Co-founder and CEO. Welcome, Chris. It’s great to have you with us today. Chris: Yeah, great to be here, Cathryn. Good to meet you and talk to you. Cathryn: Okay, thanks. Here’s the agenda for today. This webinar should last around 45 minutes with around 30 minutes from us, and then time at the end to answer your questions. Do send in your questions, comments, and queries, using the box on screen at any time during the broadcast, and we’ll answer them as best we can. If you miss anything or have to leave the broadcast early, don’t worry, everyone who’s registered will receive a link tomorrow morning to an on-demand version that you can watch at any time or share with your colleagues if you think they’ll be interested. Now it’s over to Chris to tell you more about how you can improve your candidate experience. Chris: Okay, brilliant. Thank you, Cathryn. So, let’s start with who ThriveMap are because I think it’ll help in terms of giving everyone in the webinar some context. So, we are a software platform that helps companies solve the problem fit. We started this company to empower HR professionals and recruiters to make better people decisions with data, whether that’s deciding who to hire, or how someone fits with the culture, or how to get the best out of the people they have. And it’s really most valuable to the manager who’s not an expert in hiring, but wants the tool to help them know what questions to ask, or areas to probe further on. For most companies, culture and fit is something deeply personal. So, we usually work with companies to condense the experience of their leaders and the experience of their HR teams and recruiters into an easy to use assessment that’s created by you for you. It just happens to sit on our technology. Okay, so what is fit and why is fit important? Well, around half of new hires fail in the first 18 months. And 89% of the hires that fail, do so because of fit rather than because they lack the hard skills to do the role. Of course, different industries have different norms around attrition, but this data is from the largest study ever conducted on the subject, involved 20,000 new hires across three years and eight and a half thousand companies and managers. So, it’s a really interesting statistic. And what I’d like to do here is just get some input from the listeners here, and I’d like to try out the webinar technology and ask a poll question. So, we’re going to be talking a lot today about candidate experience, and of course that matters in all cases. But it matters a lot more if we’re hiring to fill a leaky bucket of people leaving early. So, I want to know how comfortable people are with the overall current staff attrition rates. So how happy are you that retention is absolutely where it needs to be? So over to you, Cathryn for the poll. Cathryn: Thanks, Chris. As Chris mentioned, we’re going to go to our first poll now. How comfortable are you with your organization’s current staff retention rates? One of the options there, ranging from very comfortable to I have no idea. Chris, where do you think most of our audience will fall on this one? Chris: I suppose it depends on the industry really. Sometimes attrition isn’t a problem because people don’t leave and that can create its own problems in itself, but it’s very interesting. I mean, new hires are the riskiest people in your business and most people do have some sort of attrition problem often with new hires coming in. So, I thought most people will be around the somewhat comfortable mark. Cathryn: Okay, thanks, Chris. I’m just going to close the poll now and share the results with you. So, we have an equal ranking for somewhat comfortable and somewhat uncomfortable both achieving 36% of our vote this morning, and just 16% saying they’re very comfortable with staff retention rates. Comforting to know that none of you have said you have no idea what your retention rates are, so that’s really great. Chris, what do you make of those results? Chris: Yeah, as predicted really. I think, again, it’s very much dependent on the industry. There are some industries such as hospitality and retail, who work and have typical attrition problems, and some areas where it’s not necessarily about the attrition, the leaky bucket, but it is still a focus on getting people in that can thrive in the company. So yeah, as I expected. Cathryn: Okay perfect. On with the presentation. Chris: Cool. Okay, great. So, roughly 90% hires fail because of fit. How do we protect against that from happening? Now we directly measure fit by creating pre-hire assessments that are customized to your culture. Really briefly, these assessments model against the four key areas of what’s known as person-environment fit, which is fit with the company, fit with a role, fit with a team and manager. We obviously delighted to partner with CIPHR to deliver our assessment results directly into your ATS workflow. If you’d like to know more about person-environment fit, then do check out our website thrivemap.io/science, or get in touch with me directly after the webinar. But as Cathryn said, today, I’m going to talk about the four ways you can improve your candidate experience, and how to create a better recruitment process. But first, I want to start by asking what road are you on? So, there are only really two roads that we call candidate experience. Well, what am I talking about? Well, if you call Procter and Gamble and ask to speak to the recruitment department, they’ll tell you that they’re not authorized to connect the call. And if by some minor miracle you do manage to get through to a receptionist, they’ll divert you to a voicemail number that never gets checked. Or worse still, you’ll loop back to the switchboard where an annoyed overworked reception as will offer to take a message, which we both know will never reach its intended target. So, the recruitment team of Procter and Gamble aren’t there to learn anything from you, and that’s okay. They’ve chosen a road and they’re happy with that. They probably know that their lack of availability risks a few bad Glassdoor reviews and they’re fine with that. All they seek to learn is how cheap can we process candidates because they’ve decided that you’re a cost and not an asset. A world-class candidate experience is the most powerful tool in your hiring toolkit. It differentiates you from competitors and can, sorry, turn rejected candidates into brand allies. So, before I explain what the roads are, I want to get a gauge from the listeners again as to how they rate their current candidate experience. So over to you with the poll, Cathryn. Cathryn: Okay, here we go. How would you rate your organization’s candidate experience? Please select one of the five options you’re seeing on screen now. Excellent, good, okay, not great or poor. Chris, where do you expect many of our people tuning in today to fall on this one? Chris: Yeah, it’s kind of tricky asking at this point because the question is always well, compared to what? I’d question if too many people are listening to this that think it’s an excellent candidate experience. Maybe we should be learning from them. But maybe they are true leaders in the area and they’re looking to stay ahead of the game. I think most people will probably around the, hey, you know, we’re average or we’re good. And I hope that people don’t answer too frequently with don’t know or poor. But who knows. Cathryn: Okay, thanks. So, the results are in. Just going to share these on your screen now. We have most people falling in the middle as you suggested. So, 41% said they feel they’re doing okay on the candidate experience, 34% of you say you’re doing pretty well, but I guess you’re here to fine tune that and optimize that experience. And a few of you falling at the bottom end of the scale which is great to see. Chris: Okay, cool. So, it’s interesting and I’m going to assume that most listeners here do some of the basics already, such as responding in a timely manner, keeping people updated. So, when I talk about roads the two roads are pretty simple for me. And they are, we either care about you, or we don’t. Now, road one candidate experience tends to happen most often within smaller organizations, and that’s one reason why companies appear callous and superior when they get bigger. They don’t really want to spend their resources to expose the people that do work there to the people who don’t work there, so they build a moat around them. Road one isn’t always easy to do at scale, it takes commitment and willpower. And yes, sometimes the decision really is delayed by another week, or the hiring manager really is on holiday, or the role really has been put on hold. But in that moment, automation can help, but what matters more is clarity, respect, and care. Most candidates don’t actually expect miracles, but they certainly expect more than road two. Road two makes me wonder why we expect so much of our employees when they’ve been treated this way, to begin with. So being on road one doesn’t mean you can’t be efficient. As you’ll hear I’m a big fan of efficiency gains, but those gains and made to enable us to spend more time with the candidates that really matter not less time with anyone at all. So, if you engage with candidates as a recruiter or a hiring manager, then pick your road, be clear about what it’s worth, what it costs and then do that. So, three things are happening right now in the recruitment market that make this conversation relevant. First of all, is competition. I mean, who here is finding people really easy at the moment? We’ve got more choice than ever before as candidates, and more choice means more competition. Reviews. Your interview process is in the public domain. So according to research from LinkedIn, no amount of money could tempt half of UK workers to consider taking a role at a company with poor employer brand. So, reviews matter and the voice of the market. So, we’re all marketeers today and 33% of candidates with a negative experience intended to share the news publicly via social media. On the plus side, 62% of candidates will increase their relationship with a brand’s products and network. So, if your company that’s been on road two for some time, and you’re realizing that recruitment teams on road one are winning, then it’s not too late to change direction. But you’ll need to shift the culture and get some key stakeholders on board. Here’s an example of a company who made the kind of shift I’m talking about. So, in 2015, Louise, a hairdresser from Manchester, applied for a job at Virgin Media. She was surprised when she heard back about an interview because she didn’t have many of the required qualifications. To compensate for this, she put in extra effort into her preparation. She got tips from friends, she put her son in child care and she bought a new outfit. When she arrived that day at Virgin she was greeted by a grumpy receptionist. This was followed by an interview with someone who left the room halfway through to take a phone call and returned 10 minutes later to say he’d heard everything he needed to hear and rejected her on the spot. When Louise returned home she wrote a letter, she wrote to Virgin to express her disappointment and to tell them she’d actually cancelled her subscription. And when she told her sister, her sister did the same thing. Upon reading her post-interview survey, Virgin Media’s new head of resourcing, Graeme Johnson, decided to look at the impact of candidate experience on the business. Not on the loss of productivity, or wasted recruitment or training costs, these are all significant, of course, but on the bottom line. What he discovered really shocked him. Out of 150,000 candidates that applied for roles that year, had been rejected, 18% of them were Virgin customers. And out of these, seven and a half thousand of them cancelled their subscriptions because of a poor candidate experience. This cost them around 6 million U.S., 5 million pounds a year in lost revenue, and that’s not even considering the friends and family that those candidates may have told who also decided to switch. So according to new research from IBN, only 25% of dissatisfied candidates are likely to become new customers. For satisfied candidates, that number more than doubles to 53%. But we’re not all Virgin Media, and we don’t all have millions or thousands of customers. But our employer brand still matters, and we know it does. And it’s time as recruiters we felt empowered to turn to our CEO and say, “I’m going to make you money this year, and here’s how.” So, I’m here to tell you to ditch the traditional job interview, and here’s why. Well, broadly speaking, there are two types of jobs to fill. The first kind is a cog job. This is a job where you need someone to perform a measurable task and to follow instructions. It’s a profitable task if the person is productive, and you need to find reliable, skilled people to do what you need. The second kind of job requires insight and creativity. This job relies on someone doing things you could never imagine in advance, producing outcomes better than you’d hope for. This might include a sales job, or someone rearranging the factory floor to increase productivity, or it could also include a talented marketeer or even a particularly skilled receptionist. If you’re hiring for the first kind of job, then why does your interview consist of sitting someone down in your office and asking her to put on some sort of demonstration in her ability to interact with you, a complete stranger, under pressure? Why do you care what his suit looks like, how firm his handshake is, whether or not he can look you in the eye? Why do you care what school he went to or what his hobbies are outside of work? If someone can do the cog job, what other information are you looking for? And if you’re hiring for the second kind of job, then the question becomes even more interesting. The default assumption with these jobs is that collaborative work needs at least two or three of these types of job interview with different people involved. How does repeating the forced awkwardness of an interview across your entire team help you choose which people are going to do the extraordinary work you’re banking on? Your company probably uses this type of freeform assessment in an attempt to get to know a job candidate. But this type of process is not only flawed and its validity, only accounting to around a 13% prediction in performance. But the interesting question, the one that we’re not asking very often is, do candidates enjoy this type of interview? Does it give them a good experience? But as more and more companies focus on making happiness apart of workplace culture, who I want to get a drink with after work has taken an outsized importance as a metric of who would be the best employee for the job. And this isn’t culture fit. This is you seeing what you want to see, and then in 12 months, you realize that everyone looks, thinks, and sound the same, and you wonder why the diversity numbers look the way they do. So, if you interview for the London Philharmonic Orchestra, you’ll play your instrument behind a curtain because your job is not to answer questions about how you play an instrument, it’s to actually play an instrument, and it’s just best done behind a curtain because it’s fairer. In 1998, Frank Schmidt and John Hunter published a meta-analysis of 85 years of research on how well different assessment types predict a future performance. They looked at 19 different assessment techniques and found that the best predictor of how someone will perform on a job is a work sample test. So, my first tip is this. Ditch the interview and instead craft an interview process that addresses the work to be done. In 2013 the London creative agency, Poke, spent six months recruiting for a copywriter. They finally found someone and three months later they were headhunted to go work on Barrack Obama’s election campaign. They knew they couldn’t wait another six months recruiting this time, so they bought the domain ObamaStoleOurWriter.com, and threw out this landing page. And said, want to be copywriters, a series of challenges responding to fake news stories about Obama in different content forms, tweets, press releases, Facebook posts, etc. The website went viral. They had hundreds of talented candidates to review. Not only that, but they could review them online by looking at the work they’d done not by interviewing them. So, if you’re hiring a copywriter then it makes sense to ask someone for some copy, send it back, some edits and see how they’re received. If you’re hiring a project manager, then get them involved in the live project, or if it sales, get them making sales calls. I mean, what do you think the candidate would prefer? To sit in an interview room asking questions about themselves or doing the thing they probably already love to do? And of course, people change after you hire them they always do. But do they change more after an unrealistic job interview or after you’ve actually assessed them in a role? So incentive shifts in recruitment away from time to hire and towards quality of hire has resulted in an increase in the number of hoops for candidates to jump through. From recording and submitting video responses, including the six retakes to get it just right, to hour-long verbal and numerical reasoning tests, we ask candidates to complete too much work to do in the recruiting process. And today’s candidates are in a war of attrition and will only get hired if they last the distance. Knowing which candidates are most likely to do well is a huge competitive advantage. So, it’s understandable that organizations are looking for better ways to assess them. But there’s a trade-off to be made between asking candidates to demonstrate ability, and respecting people’s time, labour and stress levels. Aggregators like indeed.com, make it so easy to apply for a job that recruiters and managers can get quickly overwhelmed. Pre-hire assessments can help you prioritize, but if you’re asking the candidate to do something, make sure you keep their sweat to a minimum because keeping their attention is more difficult today than ever before. We notice a huge drop off with our online assessments once they reach the 15-minute mark. We also deploy design hacks, such as varying question types and progress bars to increase engagement and boost completion rates. And it’s entirely possible now to create something that’s beautiful, relevant, and that’s not burdensome on candidate’s time, so there’s really no excuse. Employer branding is what people think about when they consider your work culture. McKinsey wrote the book on it in 2000, and even McKinsey underestimated it. It’s big business, companies spend millions on it every year because it builds advocacy, and advocacy is when people tell the people about how great it is to work there, even though they’ve maybe even never worked there. This drives up applications and it drives down cost per hire. Now, as a former recruiter myself, I’ve been in thousands of job interviews, and at some point, every interview, usually towards the end, the interviewer stops asking questions and turns into cell mode. She alternates between glossing over the bad bits and exaggerating the good ones. And then like most of the marketing communications the organization does, this spiel is unvetted, unnatural, and unmeasured. Do you know what your hiring managers are saying about your company and your culture at interview? The first question we need to ask is, is the spiel really needed, or can we provide this information a different way, a way that’s less unhinged? But if it is needed, has anyone ever sat down and asked, when we say X, it’s likely applicant understands what we mean? Does it make it more likely that the right people want to work here for the right reasons, or is what we’re saying excluding some of the people from wanting to work here? You see, it doesn’t have to be robotic, it should be the truth. And why not work with your managers to craft and tell their personal stories. Why did they join, what differences working here made for them? But ensure what they’re saying is relevant and fair, and that it’s how you want your cultural story to be told. So, the best experiences are always the ones that we don’t expect, the mint on the pillow, the upgrade to business class, the free coffee at [inaudible 00:18:50] press. And the good news is expectations candidates have for interviews are about as low as it gets. They’ve put in all the effort, the reward is either a job or rejection email, and that’s about it. The bad news is our expectations are going up. They’re going up because our expectations as consumers have increased exponentially. Think of Amazon’s one-click checkout, Slack’s intuitive UI, or how Google have made it easy to stay logged into the various different apps we use at work each day. So, what was an average experience is fast becoming a poor one, and a good experience is quickly becoming distinctly average. Helping rejected candidates to improve their job search and find roles with other companies might sound counterintuitive. You’re increasing your hiring costs to nurture candidates that weren’t a good fit. But as Virgin found out, in the long run, it’s proving to be a viable strategy. The cost of a poor, or in today’s world, an average candidate experience is high. How do we add unexpected value to the recruitment process? How do we treat every candidate as a customer? Well, we can either do it through managers, or we can do it through process. Now, let’s be honest, managers on always great interviewers. For them, interviewing is a part-time skill. Yes, training can help, but when managers come and go, new managers need training and consistency becomes an impossible goal. You could train all your managers to become interviewing experts, or you could build a process which makes it easy for them to deliver value to the candidate, regardless of the outcome. This is where assessments online can help. But what happens when you spend all that time on your employer brand, agonizing over your careers page, carefully writing each job description, and you ask your hard fought candidates to spend 45 minutes completing something that looks like this or asks meaningless questions like this, questions that don’t relate to the role they’ll actually be doing and try and label people and put them in boxes. This is what we see from many companies on road two. Okay, so what have we given candidates? What if we can give candidates through an online assessment, that both communicates your culture in a way that’s real, and a way that you want it to be communicated? What if we can give candidates something valuable such as insights about their ideal working environment to help them find the right fit when interviewing in future? Suddenly, without any additional man hours, you delivered value to candidates, and suddenly your brand reputation spreads. So, before we revisit things and talk about a better way to hire, I want to ask a final poll question, which is which element of your candidate experience do you feel needs the most work at this moment in time? So over to you Cathryn. Cathryn: Okay, here we go. So, Chris has already read out the question. Here are the five options for you to choose from. Application process, online pre-hire assessments, candidate communications, face-to-face interviews, or making offers. Please just select one option here. Chris, where do you expect, most people to be needing to focus their work on? Chris: I would expect most people will say the face-to-face interview process needs a bit of a revamp. I think it’s really interesting. Obviously, different companies get different benefits from candidate experience. So, some people have lots of candidates at the top of the funnel, and that’s where they need to focus their efforts on the application process and maybe the pre-screening with assessments. A lot of the time, it’s actually more about how do we engage the candidate through, they’re in competitive markets. So that kind of communications piece, and the assessments piece obviously can help as well, in terms of if the assessment communicates the culture and really engages the candidate. And yeah, that can often relate to the making offer piece as well. We know that candidates are more likely to accept offers if they had a good experience. So that can be more applicable for companies in competitive markets. Cathryn: Okay, thank you. Just going to share the results to your screen now. So, making offers, actually not too much of a challenge for our audience. It was face-to-face interviews, that a third of you said that you need to work on. But a fairly even split between the other three options, application process online pre-hire assessments, and candidate communication. So, Chris, that kind of feels in tune with what you were expecting. Chris: Yeah, it’s interesting, I think… actually we’ve created a downloadable… I’m happy to send it through to anyone that’s interested. And it really looks at the different stages in the candidate journey and where potential bottlenecks could be, and where potential solutions could be for that. So, if anyone wants that, it’s a one-pager, can have a look at that process and kind of use that as a template to try and identify some issues that need resolving. Happy to send that through. But yeah, kind of that face-to-face interview piece is really interesting, getting consistency across an organization. As discussed, for me, it’s better to do that with process rather than training. But obviously, both of those can help considerably. Okay, cool. So, let’s revisit the traditional job interview. So, this type of interview is a great way to hire someone whose job it is to be interviewed. And as a result, we end up hiring people who are good at self-marketing, not at what we need them to do. It may be very well that this programmer or that cleaning person, or that retail worker is absolutely terrible at the things that make it easy to get hired. But is there anything wrong with that? Isn’t the entire point of a hiring process to separate the people who will be good at the job from those that won’t? We could all save a lot of time and energy if we replace this with a better way to find a natural fit. So, let’s look at the hiring process that puts the candidate experience at the heart of it. I don’t like bullet points, but here we go. We finally admitted that the traditional getting to know you interview is ineffective. Instead, we’ve created a selection process to measure our candidate’s ability to perform the role they’ll actually be doing. And we can save time by doing this online, at the point of application. We can cut interview time by up to 60%. And we’re not wasting our time with bad candidates because they’ve either been screened out, or they’ve opted out. Not because they got frustrated with the process, but because you gave them the glimpse of what they’re getting into. And they said, that sounds great for someone, but that someone isn’t me. Like a good marketer or salesperson who takes a customer-obsessed mindset, we’ve become candidate obsessed. And as we build out our recruitment process, the message to candidates we’re delivering is on brand, it’s relevant, and it’s accurate. It’s approved bias but it’s still personal to the person that’s delivering it. And there’s no selling there, it’s just truth. And finally, the candidate gains something from the process, not because the manager is told to, but because it’s impossible for them not to. Because the system we’ve built automatically delivers value to anyone who interacts with it. The word spreads, the reviews come in, advocates are created, and our ranking improves. So, thank you ever so much for listening. I would like to go back to you, Cathryn, see if you have any questions, see if any of the listeners asked any questions along the way, and see what I can do to help. Cathryn: Thanks, Chris. That was really interesting. I would hope that our audience has got lots of questions for you. So please send them in using the little chat box that you should be able to see on your screen, and we will do our best to answer them. So, one question from me is we’ve touched on points around the employer brand and around consistent marketing messages. Do HR teams have the right skills to promote their organizations in this way? And if they need support from marketing functions, how can they persuade them to offer their time and expertise to help? Chris: Well, I think certainly calculating the cost of a bad candidate experience is going to help gain influence across the board, whether that’s buying new products, new technologies, whether that’s changing process or, you know, kind of gaining support from internal stakeholders. So, the number one kind of advice from my side is to identify what it’s costing you. If you’re in a B2C market where candidates are customers and there’s a direct cost there, then that can help. But even if you’re not, there really is a cost to be not delivering or kind of exceeding candidate’s expectations in terms of the cost per hire goes up, because you get less referrals, there’s less advocacy, your ratings are lower, in this public world that we live in. So, identifying those costs is the first point I would really start. And I believe HR absolutely required to be marketeers or recruiters are required to be marketeers these days. You know, the role of a recruiter is to market your brand and sell opportunities. So, absolutely, I think the skill sets are available within recruitment departments. And if they’re not, then absolutely, you could lean on marketing for support. Cathryn: Okay, thank you. We have a question from Amy here. She asks, do you think application forms are the best way to get candidates to apply? Chris: I think it would depend on the sector and the role that’s being recruited. So, we create assessments often for high volume environments, such as hospitality, retail, customer service roles. For us, we don’t want anything to stand in the way from gaining the application, because in a busy London market where there are lots of applicants, we have a different use case, which is who are the top 20% of candidates that have applied. In areas such as Outer Hebrides, if they have outlets there, the challenge there is who is actually available and interested in working for us. So, nothing, I believe, should stand in the way from candidates applying. The quicker you can get the application in, the better. But then once they’ve done that one-click apply, or whatever is the simple application process, a redirect to an application assessment page takes them through a journey of a day in the life of a role, which is what we do, or even ask for more information to be able to differentiate who are the serious candidates from who’s just applied for anything is a really valuable thing. Now, that can redirect after they’ve submitted their application, so you’ve not missed out on the candidate. All that can be triggered directly from your ATS [inaudible 00:28:55] on email to those candidates. And it allows you to distinguish between who’s genuinely interested and who’s not. And the reason why that’s important, one of our clients was very nervous, they work in hospitality, they’re very nervous about one particular role type, which was back office, back of house, so chefs. Chefs are notoriously difficult to recruit. And they were very worried that putting an assessment in front of an application or as part of an application process, wasn’t necessarily in front, would turn them off. But what they found is 100% of the chefs that didn’t actually complete the assessment withdrew from the process anyway. So, having some hurdle there, some effort that’s not boring and tedious, but it’s actually engaging and educates can be really, really interesting. So, it’ll just save you time contacting people who are going to withdraw or waste your time anyway. So that would be my approach. Cathryn: Okay, thanks, Chris. Amy, I hope that answers your question. I have another question here from Dennis, quite a specific use case role. So, Dennis works in a clinical recruitment role and will often have over 45 applications per vacancy. At the moment, they only shortlist and then interview. How could they refine this process, perhaps by introducing clinical assessments prior to the interview? And this is specifically for healthcare assistant roles. Chris: Yeah. So, the typical process we go through is, a successful candidate within your company will be different from a successful candidate in that same industry in another organization. You have different cultures, different cultural norms, values, expectations. So, we work with the organization to understand what great looks like in that role through a workshop process of decoding, debunking real-life scenarios that occur for someone going to that role. And then getting the existing employees as a benchmark to test against. So, for us, that helps in those situations where there are multiple candidates and it’s difficult to identify who are the strongest candidates for the role, and you end up screening a lot of people over the phone, or just arbitrarily looking at CVs and making decisions which may be biased. So, the approach we take is to ask those 45 candidates in that case to complete your assessment, which we recommend takes no longer than 10, 15 minutes, and takes someone through a digital experience of what life would be like that role. And then that allows you to prioritize candidates by their scores. So, did they interact in a way that you’d expect them to interact with a patient? Did they complete any of the tasks in the right way? And that also provides you with interview report when they do come to interview, which highlights the areas of strengths and weakness and the questions to ask. So, for us, that’s the logical way of solving it. I generally can’t think of a more appropriate way for that type of role. Cathryn Okay, Thanks, Chris. I hope that helps, Dennis, with your question. I have another question here from Inga [SP]. She asks, how can HR influence selection panels to follow recruitment procedures properly such as using scoring methods? Chris: Yeah, this is a really good question. So, consistency across organizations is notoriously difficult. The approach that we take with the assessments that we provide is that the hiring manager gets a report. And the important thing, we always litmus test, this is that that’s in the language, that they understand testing concepts that they know about already. So that’s either decoding of the values that are embedded in the assessment, and we can use that language or particular kind of elements, capability elements that are in the hiring profile. So really, the process is the manager needs to be really clear on exactly what they’re looking for in a candidate, they need to be really clear on their hiring profile. I mean, job descriptions are technical manuals for recruitment. The problem is that no one reads the manual. So, starting from that point, to ensure that whenever you embark on a recruitment project, the hiring manager is super clear on what they’re looking for. And then the reports that come through from our assessments provide you with a structured interview. And it is… I can’t stress this enough. Unstructured interview, the traditional job interview that I talked about in this webinar, is a really poor predictor of performance. So, at the very least having a sheet that every manager in the business for a particular role, they have the same questions to ask in a scoring system of did they do well on this question, or poorly and some sort of plus or minus number, so you get to score at the bottom. So, they can objectively say, this candidate is a good, they can do the job and they want to do the job, and hopefully, they’ll thrive in the environment as well. We break it down into those three C’s, which is commitment, capability, and culture, and provide those scoring sheets for managers. But you could create one, I’m sure yourself if, you know, just kind of create one in Word and make sure that every hiring manager follows that same process. Because it’s really difficult once managers kind of try and wing it and go with their gut. Cathryn: Okay, thank you. Inga, I hope that answers your question. And actually, you have a follow up one, which I think is another really interesting one. Do you have any advice for charities on how to engage and attracts more applicants with a limited recruitment budget? Chris: Recruitment marketing is a whole new ballgame. And I think that there is something I can share. There’s 50 job boards are free. There’s a list that I can, again, if Inga, you want to contact me, I can send you this list. We can post your job in 50 boards for free, which will give you some additional exposure. I mean, it might mean a bit more labour in terms of having to actually process that. But the goal really here is around where are my audience sitting? Where are they spending time? And how do I engage that audience? There will be lots of different ways in terms of build communities, in terms of, you know. It really depends on what particular community you’re trying to reach, and what they’re doing, and where they’re spending their time, and how you can get involved in that. So, the tech community is one that I’m obviously in here and we’ve done things previously. We have a ton of hosting meet-ups for various people interested in our technology that we use and getting people engaged that way. And for us, that’s a free way of building relationships. But obviously, the numbers that we’re talking about are pretty low volume in charity sector. So, if you contact me, I can send you the 50 free job boards to post your vacancies, which may be of help. Cathryn: Okay, lovely. Thanks, Chris. Inga, Chris’s email address is on the screen, or else I’ll pass him your details, and he would be able to get in touch with you. So, we still have some time for more of your questions, if you do have any more and send them in. One question I had Chris, was about how these kind of pre-hire assessments fit into the goal of recruiting a more diverse and inclusive workforce. Obviously, that’s a big thing that’s on a lot of people’s agendas is changing the mix potentially of applicants they attract or people they eventually hire. So how can companies support a more inclusive hiring approach? Chris: Yeah. So, thank you, Cathryn. So objective assessments in general, improve the fairness of the recruitment process. So, the fact that you’re comparing how candidates are doing on a relevant test that’s measuring real life scenarios that occur in the role or in your company and that that’s benchmarked against people who are successful in that role is a great way of levelling the playing field, rather than looking at CVs or kind of doing that initial screen where those biases can creep in. In terms of from an end-to-end process, there’s lots you can do. You can remove names from applications and CVs, you can remove images, which we recommend you do, and hobby sections, things like that. The DNI agenda, really…yes, it’s hugely important. People just want to go through a fair process and they want to know they’ve gone through a fair process. And it really is around equal opportunity, rather than equal outcome. We should provide everyone with an opportunity to be successful. And an objective assessment generally help with that, is the official view and the data. So, I think it ties in really nicely and really well. Obviously, you still need to be fishing in the right areas. 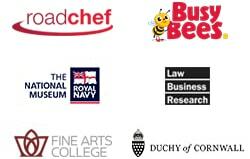 We’ve lots of companies recently doing some really interesting things, sponsoring bursaries, advertising their roles in places that particularly appeal to the non-normative candidates. So, getting involved in communities, such as Geek Girl in the tech industry, or various different things in vein communities. So yeah, we need to be fishing in the right ponds. But then we need to ensure that when people are coming through the system, they’re going through a fair process that’s benchmarked in reality against people with a process that’s fair. Cathryn: Okay. Thanks, Chris. Well fielded. And we have a couple questions about personality tests. What are your views on personality tests like Myers Briggs? Is there any merit to using them? And also, are there any that you would recommend? Chris: So, my view on personality tests isn’t particularly a positive one. My view personally is that you can separate personality from the context. So, people will behave differently based on the context that they’re in. And testing people for a trait by asking fairly obscure and abstract questions for me, is not a particularly valuable tool when we’re looking at recruitment. I mean, personality-wise, the best teams are full of different personalities. You don’t want to hire the same personalities. What you do want to hire is a range of different personalities, of people with different backgrounds, heuristic, perceptions, experiences, but who will thrive in the culture that you have. And for me, personality limits that, and anyone’s ability to do that. Can they be interesting and insightful? Well, absolutely, because they can start conversations with members of staff that you might not have had. And they can spark interesting understanding and insights about each other. But when it comes to scaling from a recruitment perspective, or benchmarking against personality types, for me, it doesn’t work, because context matters. It matters that your culture shapes how people behave, and you just hide a personality type. You’re not considering the context that they’re actually going to be operating or working with them. Cathryn: Okay, thanks very much. Next question we have is from Oliver. He asks, you mentioned adding value to each candidate in the process. Could you please give us some examples of how you’ve done that, or how organizations have done that, that you’ve worked with? Chris: Yeah. So, there was a cost here often. The cost of adding value with personal interactions and feedback is time. So, one thing that I did actually, a while ago, was I responded to everyone that applied for a role with us personally. Now, I did have a template, but I would have amended it based on what I saw in the application or the amount of effort and time they went into. And that’s not people that come in for an interview, that was everyone that applied at the top of the funnel. We were advertising quite a few roles at a time. But the number of emails I got back from people saying, “I really want to thank you for the time you took to reply to me.” Because, I did put some words of encouragement in there and saying, “Look, you know, I think this is, be the type of role, the type of company that would suit you better, one that’s perhaps more established,” etc, etc. And the feedback I got was really, really overwhelming, it surprised me. But actually, when you think about, it’s not surprising, because normally, they just get that auto-rejection email, they don’t hear anything at all. One thing that we are really positive on in our assessment is that candidates, it’s up to companies, of course, they can trigger a report that goes to candidates to say, “Look, you completed our assessment, part of that was around culture and working environment. And here’s some insight as to the environment you said you’d work best in. So, whether you get the role with us or not, there’s some helpful tools here to help you understand the culture that you would really thrive in going forward.” And we can provide that as part of the process so everyone that interacts with our system gets value out of it. And that’s one way that I think is really, really valuable for candidates. You’ve got to remember that when candidates apply for a role, that’s incredibly emotional time for them. They’re putting lots of effort into it. And for me, the current balance, the current status quo, particularly with companies on road one, sorry, road two, are, you know, the balance is all about the company, and the candidate has no influence in that. I don’t agree with that, I think that’s wrong. Cathryn: Thank you. Sorry, I was struggling to find my unmute button there. Just to add, like, there’s a really interesting example of this kind of adding value to candidates in the form of Red Bull, the sports drink, and sports brand. So, they launched a tool called Wingfinder about 18 months ago, which is an assessment tool, similar to what we’re talking about here. But it’s free for anybody to take part in, you don’t even have to submit an application to them, but they do use it as part of the hiring process. So, if you kind of want to have a look at the example of one of these types of assessment tools, and then also see what feedback candidates can get, it’s a really great and fun way to try that out. So that’s called Red Bull Wingfinder. We just have two more questions that we can quickly tackle before we have to finish up for today. Amy asks, do you have any tips for doing things well, but quickly? There are two people in the HR team and I lead on recruitment. We have recruited 43 people this year. It’s time-consuming. So, any tips would help. Chris: Wow, okay. That is a challenge. I mean, there’s so many different parts of the process that you can optimize. I’m sure, you know, if you’re using a system like CIPHR, there’s going to be loads of benefit to automating parts of the process, automated job postings. For me, one of the key areas of time that we’ve been able to save companies are around a few things. So first of all, cutting the interview process down to two steps from kind of three, four. I spoke to someone yesterday who was on their fifth interview. They knew someone that had had 21 job interviews at the same company. So, looking at the number of steps in the process and going, “Okay, actually, can we condense three into two, condense four into three?” And going, “Okay, well, what are the bits that we can do ahead of that interview, so we’re improving our interview ratios” Those numbers matter, especially ratios. So, number of interviews to actually offers is a really important metric that people should be tracking. And you can improve that by putting in assessment at the front end, rather than having a CV screen. I think there are some video interview tools as well, that can be helpful if you’re in a high-volume environment. But we think an online assessment is better, if not more effective, if not, kind of more engaging, actually, for the candidate than a video interview. So, trying to look at the ratios, improve those ratios, trying to use a good system that provides you with automation. In terms of offers, getting offers out, getting kind of sign contracts back, that kind of area. And then the whole onboarding process can be automated really nicely as well now, there some tools out there that do that. There’s a Dutch company, I forget the name, but I saw them recently, was really impressive. So yeah, I’m sorry, I can’t be more helpful than that, but we do have this downloadable I can send you that looks at different areas of the process, and there could be time, money or reputations savings for you in that. Cathryn: Okay. Thanks, Chris. Hopefully, Amy, that answers your question. And we have a question here from Marie. She says, we use anonymized recruiting, but the application process for the candidate can take about 45 minutes, and in some roles the drop off is high. Have you got any tips for reducing drop off rate? I guess this comes back to your recommendation earlier that you max out pre-hiring assessment things at 15 minutes? Chris: Yeah. We noticed a big drop off after 15 minutes. So, anything that goes on much longer than that, yeah, it’s difficult. For us, we can ask a fewer questions because we’re asking direct questions that relate to what they’ll actually be doing, and we have different question types and provide you with different levels of granularity. So rather than there just being multiple choice questions, where you only get one level of granularity, we can ask ranking questions or interactive questions that kind of really string candidates out across the thin line with a smaller number of questions. My answer simply to that would be kind of re-look at that assessment and try find something that doesn’t mean candidates are dropping out of the process. Good candidates are so difficult to get, you want them to be getting positive feedback on that assessment. You want them to say, “Actually, I really learned something from assessment, that really engaged me in the culture. And out of all the roles I’ve applied for, your company really stood out because it was branded, and it told me something about what life is like within your culture.” For us, that’s a key win that every company should be striving for. Cathryn: Okay, Thanks, Chris. Right we’re just going to tackle one more question now because we’re running out of time. We’ve got a couple of people asked about automating ways of anonymizing recruitment, one specifically around in PDF format. So, I know that if you’re using an applicant tracking system, such as CIPHR iRecruit, there should be a function in there to anonymize applications and enable you to do effectively blind CV screening or blind hiring. That’s one of the benefits of using CIPHR iRecruit, for example. But I don’t know of any that would and enable anonymizing applications in PDF format. Do you have any experience, Chris, with anonymizing applications? Chris: I’m really sorry, I’m not the expert on that. We do have anonymous mode in our tool. And we normally, as mentioned, we deliver the results directly into the ATS, so it really depends on your ATS settings the majority of the time. So yeah, sorry, I can’t really help with that one. Cathryn: No, that’s fine. I think that is more of an ATS question. So, if you were, say, getting applications in PDF format, consider switching to an ATS which will enable you to do the blind hiring that you’re looking for. Okay, so that’s all we’ve got time for today. Thank you so much for joining us and being such an engaged audience. And thank you, Chris, for sharing your expertise with us. If you’d like to find out more about CIPHR’s HR and recruitment solutions, or how ThriveMap can help you make the right hiring decisions, just check the relevant option on screen as you exit the webinar. We hope to see you at another CIPHR webinar soon. Goodbye.